Just like Zenobia warriors conquered the Roman undulating hillocks, Zenobia Fashion is taking Los Angeles Fashion District by storm. A women’s wholesale clothing brand based in Los Angeles, Zenobia Fashion has, over the years, gained an incredible reputation for its plus-size line. However, it is the emphasis on trendy fashion and looks that have put Zenobia Fashion on the map in Los Angeles Fashion District. In our experience, we’ve seen several wholesale fashion stores in LA choose between trendy and vintage. Others go for consumer-friendly pricing, but Zenobia Fashion brings the best of the two worlds – high-quality, fabulously looking women’s apparel at surprisingly reasonable prices. That is why the Los Angeles based wholesale clothing line has gained tremendous traction with customers across the country, from small boutiques to large corporate retailers like Target. Zenobia has demonstrated a dedicated commitment to delivering cutting-edge fashions of today and tomorrow by bringing together innovative designs and top-notch quality fabrics. More than that, Zenobia Fashion brings to the table over two decades of unrelenting experience in plus size fashion. Customers can shop for Zenobia wholesale fashion from its brick-and-mortar store at 717 E. 10th St, Los Angeles CA 90021 or its online shop (zenobiafashion.com) as well as other fashion marketplaces such as Amazon, Fashiongo, Poshmark, and LA Showroom. Dresses: Boutiques, large department stores, and fashionistas alike love Zenobia dresses – and with good reason. The Los Angeles wholesale fashion house provides customers with a variety of mini, midi and maxi dresses for each season and occasion. Furthermore, Zenobia carries a broad selection of bodycon, tunics, and flare & fit dresses available for bulk purchase. Tops: If you are looking for fantastic mix and match tops, then Zenobia should be your next stop. Contemporary, chic, and sassy, their tank tops come in an assortment of colors, prints, styles, and sizes. There’s always a Zenobia tank top for everyone. Blouses: Tees, button-downs, ditsy florals, long-sleeves, and short-sleeves, Zenobia is never short of blouses for all occasions. 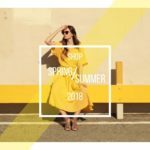 Outerwear: This remarkable women’s clothing wholesale fashion house has sizzling outerwear section teeming with all sizes and colors of bohemian-style jackets, vests, boleros, summer outerwear, and coats at surprisingly affordable pricing. Rompers & Jumpers: from fabulous jumpsuits to jumpers in all sorts of colors, patterns, and fabrics, Zenobia is all about variety. Plus size is Zenobia’s forte. You’ll find all kinds of dresses, tops, bottoms, jumpers, rompers, blouses, and outerwear in plus sizes.